Actually I am new to Subversion. Shortly speaking, Subversion is a tool to manage versioning of documents, especially for software developers. You can find the details here. I have a team to write a book using LaTeX, each member can create, update and delete the supporting files. To avoid any loss of data, I want to manage the synchronization using Subversion. Use the same editor you are using today, and use subversion with tortoise svn. Tortoise is a simple and good windows explorer extension. I wish I could say TeXShop, my editor of choice, but I can't. There's always emacs and Eclipse. The other editor, Vim, has a Subversion plugin. Vim does have special support for editing Latex &c, but it's not such a polished offering. Both Emacs and Vim work well on Windows. Take a look at the GNU FAQ for Emacs on Windows. 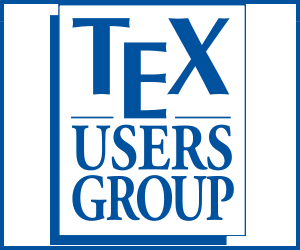 TeXstudio is a LaTeX IDE that has built in support for Subversion. I've not used it with Subversion myself, preferring Mercurial, so cannot vouch for how good its support is. In addition to the usual suspects (vim, emacs, etc. ), for editors actually designed for LaTeX in particular, I believe jLaTeXEditor does. I don't use it personally, however. It works fine with Tortoise SVN (for Windows). Eclipse + Texlipse + Subversive is the best option in my opinion. You need to download and unpack eclipse first. Then you can simply install the texlipse and subversive plugins. If you are familiar with eclipse, texlipse is surely the best tex editor for you. If not, it will surely be useful since eclipse does have a plugin for every file format under the sun. Furthermore, it is multiplatform and it has a built-in compare capability. By the way, eclipse keeps a local history for every file being edited automatically. So, if you are the only person who is working on the tex project, you may not need to install subversion at all. See here. BBEdit of course! Sometimes I need to edit TeX files in BBEdit rather TeXShop. Then I use a script that calls TeXShop for typesetting and previewing PDF files. There is a Subversion Menu in BBEdit. The two plugins available for Eclipse's SVN support are sub-par at best, and dangerous at worst. I personally prefer using TortoiseSVN and my favourite LaTeX editor. You could use Geany. It's not really a LaTeX editor but rather a simple yet powerfull text editor / IDE that is not as overwhelming and huge as Eclipse might be. 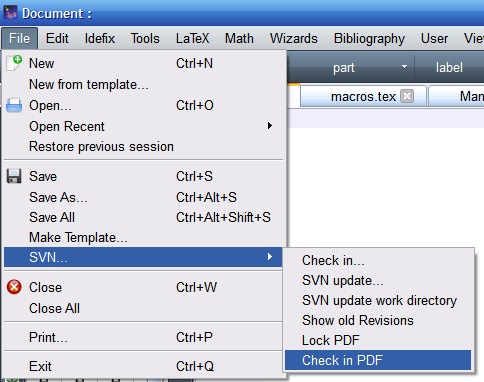 It has plugins for LaTeX and version control that includes SVN. You could consider an ownCloud installation - it supports file versioning and can be mounted through WebDAV as a drive. If you have some cheap hosting, it is quite easy to work with, and a lot of people do. I have used it for this kind of thing. Not the answer you're looking for? Browse other questions tagged editors revision-control ide or ask your own question. Is there a \newcommand manager program? Is there a web-based LaTeX or TeX editor? Is it normally to use Latex editor as the only editor?